‘Boris’ is one of a few British politicians known to voters by his first name, and his star power was enough to slam the British pound to a seven-year low Monday morning. Breaking ranks with most of the cabinet in David Cameron’s majority government, Johnson upended the Brexit battle, transforming what was already becoming a tough internal fight among Tories into an all-out struggle to dominate the post-referendum era. That was clear enough on Monday, when Cameron delivered a stinging rebuke to Johnson, gently mocking him for his leadership ambitions and not-so-gently mocking Johnson’s suggestion that a firm ‘out’ vote might lead to a second attempt at negotiations with the European Union (and, possibly, a second vote), an outcome that Cameron ruled out in its entirety. Cameron has pledged to step down after two terms, which means that he will not lead the Tories against Labour in the 2020 campaign. Had Cameron lost last May’s election, Johnson might have been well-situated to take the Tory crown. Instead, Cameron’s stunning upset, winning a stable Conservative majority, boosted chancellor George Osborne, especially as the British economy continues to recover. For Johnson, the political calculus for backing Brexit is a ‘heads, I win, tails, you lose’ proposition. If the referendum fails, Johnson hopes he will have earned credibility with the Conservative Party’s eurosceptic grassroots that will decide the party’s next leader and, likely, prime minister. If the referendum succeeds, it’s hard to imagine Cameron will stay on as prime minister for long. Moreover, all of his loyal lieutenants, including Osborne, home secretary Theresa May, business secretary Sajid Javid and others, will be tainted by their support for the ‘in’ campaign, despite much long-held concerns about European integration. Lord William Hague, of all people, who led the doomed 2001 Tory election campaign to ‘Save the Pound,’ even opposes Brexit. 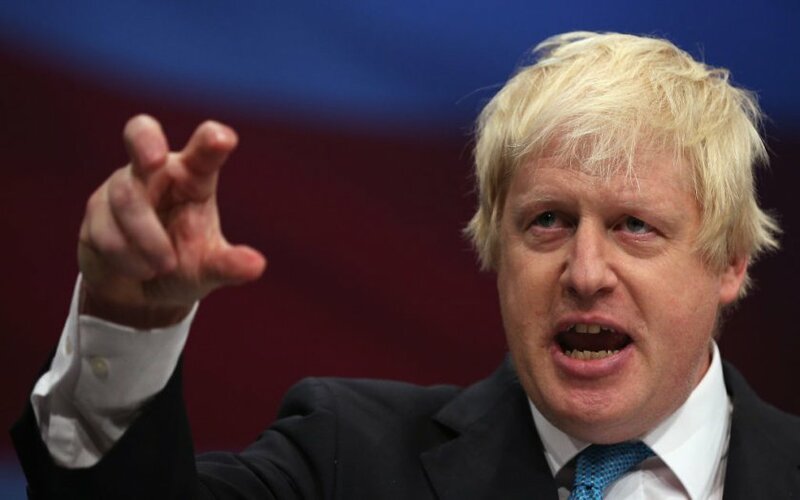 There is some downside for Boris, because voters may find Johnson’s fairweather Brexit enthusiasm far too opportunistic and cynically ambitious after an otherwise moderate, even joyful, eight years in power. Cameron’s attacks in the House of Commons today, along with strident abuse in the press, suggest that the next four months coule be difficult for Boris. That will be especially true if Labour’s mayoral candidate Sadiq Khan, born to Pakistani parents in London, easily wins the May mayoral vote. What’s more, Boris now becomes the most prominent leader of a movement dominated by the likes of Nigel Farage, the leader of the anti-immigrant United Kingdom Independence Party (UKIP) and left-wing gadfly George Galloway, which many Tory voters might find to be rather shabby companions on the path to 10 Downing Street.